The tenth era Everything is different with the new Windows: It is supposed to be multi-platform, easier to use and the user can provide feedback for the preview version. Will everything be good? We check this with the Technical Preview of Windows 10 on three devices (laptop, tablet, smartphone). Somehow, it seems that Microsoft always needs two attempts before it works. The guys from Redmond have proved that they can design appealing and responsive operating systems with their Windows 7. Before that was Windows Vista, but neither the users, nor the developers have fond memories of it. Windows 7 was finally a desktop operating system that satisfied the majority of the users. However, the computer world had changed: Tablets and smartphones have suddenly conquered the hearts of users. Microsoft did develop a competitive mobile operating system with Windows Phone 7, but the desktop Windows was supposed to be adjusted for touch inputs as well. The Desktop was still very popular amongst PC users, so Microsoft did not want to give it up, and the result was a somewhat inconvenient hybrid system called Windows 8. Classic desktop users were annoyed by the new interface with tiles, and tablet users did not know what they should do with the Desktop and its small symbols. There were also some unfortunate users that got a tablet with Windows RT, which meant they could only install apps from the Windows Store with a small selection, but not their beloved Windows applications. The confusion was complete since there were several operating systems for different devices that shared the name "Windows", but they did not work together and the handling was actually quite different. The first big step in the right direction was the update to Windows 8.1, the discontinued Windows RT and the system-wide apps that also ran on Windows Phone 8.1. However, the shaky start of Windows 8 is still in the heads of many users, so they still prefer Windows 7, especially since it is still the much more intuitive operating system when you do not use a touchscreen, even in comparison with Windows 8.1. Pretty unpopular amongst users: Windows Vista (screenshot: Wikipedia). Everybody's darling because it is stable, fast and logical to use: Windows 7 (screenshot: Wikipedia). 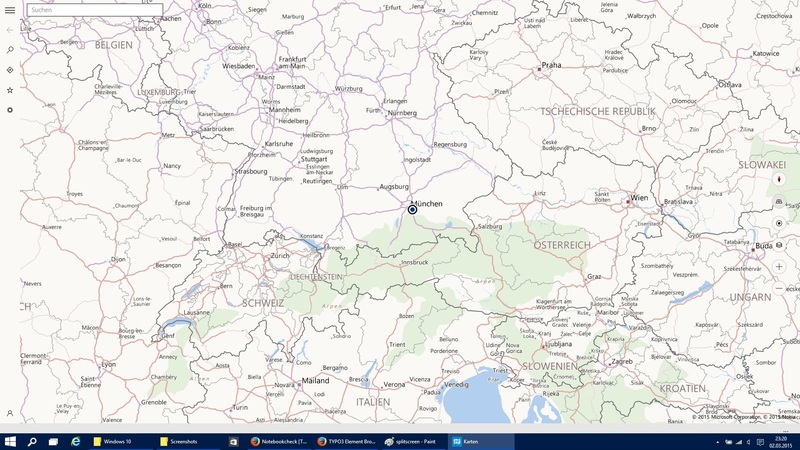 Metro UI and Desktop together was not a good compromise in Windows 8 (own screenshot). Everything is supposed to be different with Windows 10: The user interface reacts to the type of device that it is installed on, but at the same time, it is the same Windows in the background, whether you use a smartphone, tablet or a PC. This should have some advantages for convertibles as well: Detach the keyboard and the symbols are supposed to be adjusted for touch inputs. Apps are supposed to run on all devices with Windows 10 and it seems that there would not be new major Windows versions at all, but rather continuous function updates. 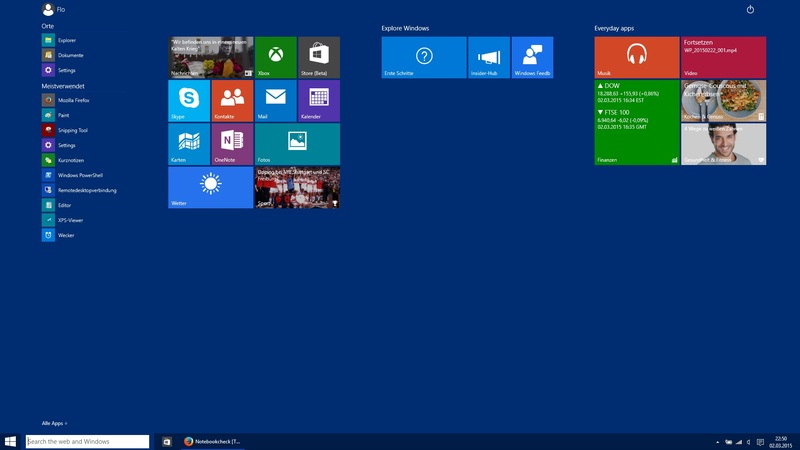 So there are many new features in Windows 10, but are they also good? We have installed the Technical Preview of Windows 10 on a laptop, a Microsoft Surface Pro 3 Tablet as well as a Nokia Lumia 630 to check what Microsoft has already implemented. We are eager to see where the journey is going. It is, however, a beta software, where many features are still missing, can be faulty and can even result in crashes. We recommend that you install the Technical Preview on devices that you do not use every day and do not use your personal Microsoft account. The reason is simple, the Technical Preview collects a lot of data, records keystrokes, for example, and Microsoft can analyze the data according to the conditions of participation. Windows 10 is supposed to be released in the early autumn of this year and there are still rumors about the price and the payment model. Recently there was the news that Microsoft has secured "Windows 365" that could indicate a subscription model similar to Office365, which would at least be a possible licensing method, as well as licenses that you pay for once. Windows Phone 10 will generally stay free. · One Windows for all devices: The next Windows generation creates a consistent, compatible and familiar user experience on all devices of the product family: Starting with the PC, tablets and smartphones all the way up to the Xbox. · Developer: Developers will only create one application for Windows 10 for use on all Windows devices in the future. The app is universal and runs on multiple devices, it does not matter what kind of app it is. · Malware protection for apps: Enables business customers to allow the use of certain apps for business purposes and restricted to trusted applications. · Optimized administration: Simplified and reliable provision. Direct updates without time-consuming and new loading processes. · More flexible updates: Businesses will be able choose the innovation speed for every area of application, more precisely the time and the extent of updates. · Use of the Store: Businesses will be able to individualize the store according to their needs. They can assign volume licenses for apps, the distribution of apps is more flexible and licenses can be retrieved and used again. · Voice assistant Cortana: Windows 10 introduces the personal and digital assistant Cortana for tablets and personal computers. · Browser Spartan: Windows 10 comes with the next generation of the Microsoft browser with the code name "Project Spartan". Spartan offers the possibility to enter comments directly to the website via keyboard or stylus and share them, a new reading mode as well as the integration of Cortana for a simplified web search. · Xbox on Windows 10: Games on the Xbox One console can be streamed directly to tablets or PCs with Windows 10. Games can also be played with friends on different devices. Games for the new DirectX 12 in Windows 10 will offer significant improvements in efficiency, performance and graphics quality. 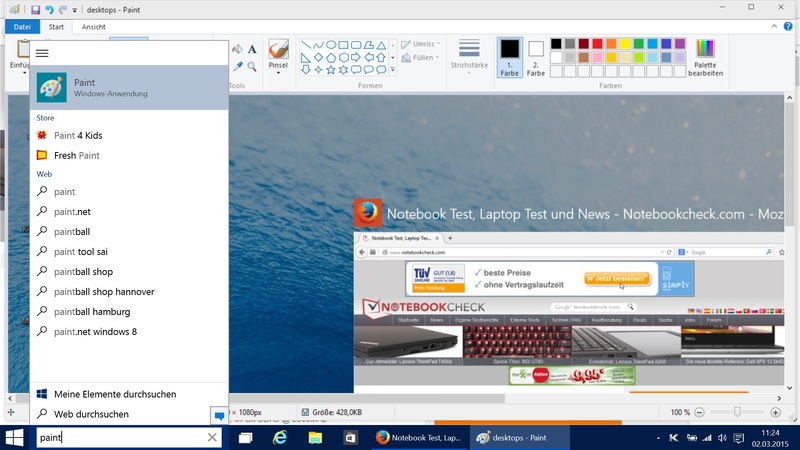 · Office for Windows 10: According to Microsoft, the Office apps for Windows 10 are supposed to create an intuitive and consistent user experience on all devices, whether you use a phone, a tablet or a PC. · Microsoft HoloLens: Thanks to Windows 10 and Microsoft's holographic platform HoloLens and the corresponding VR glasses, Developers can show holograms in the environment of the user. · Surface Hub: With new large screen devices in 55 and 84-inch, Microsoft aims to expand the traditional conferencing scenarios with the advantages of Windows 10, Skype for Business and Office 365. This article will tell you about our experiences during the first days of testing with the Technical Preview on a laptop, the tablet Surface Pro 3 and the Lumia 630. 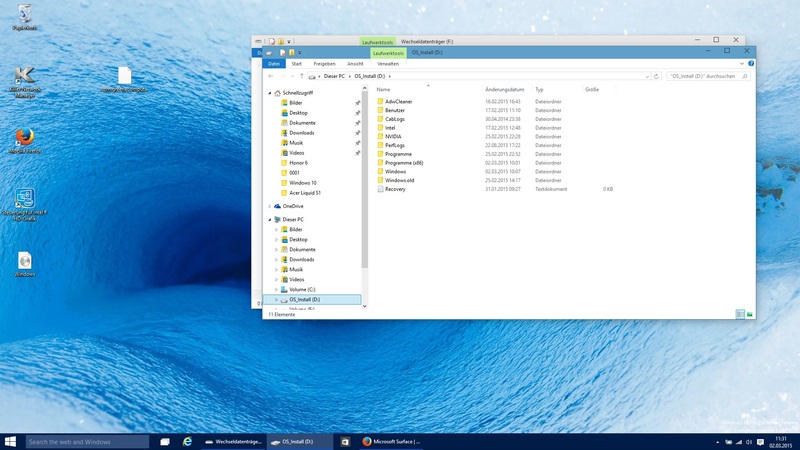 The Technical Preview of Windows 10 for desktops still reminds us of Windows 8. 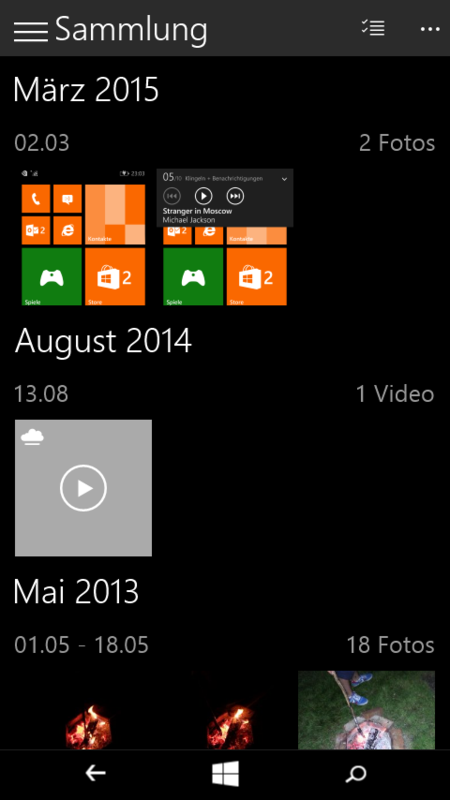 The preview of Windows Phone 10 did not change dramatically in terms of the design, either. The installation of the Technical Preview is quite simple: Just download the ISO-file from Microsoft and burn it onto a DVD or copy it to a USB stick. Then you reboot the computer and follow the installation process, which is familiar from previous Windows installations. It is also possible to install the Windows 10 Technical Preview directly from the old operating system and keep your files. The Preview version was very stable on our laptop, and in our tests none of the programs that were already running on Windows 8.1, had any problems with the Technical Preview. In addition, there were no problems with using the drivers. There is supposed to be an update feature for Windows 7 and Windows 8 when Windows 10 is released, which can be installed via Windows Update. All users of Windows 7 and Windows 8 get Windows 10 free of charge for one year. Microsoft lists more information about this on its website. · Extended Start button: Microsoft brings back the familiar and popular Start button with Windows 10, which means you will once again have direct access to important elements. You can access frequently used functions and documents with one click. There will also be a new area in the Start menu where users can access their favorite apps, applications, contacts and websites. 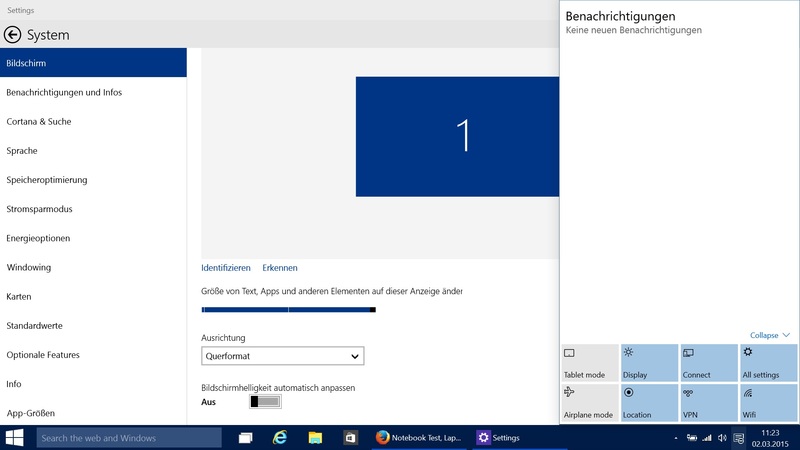 · Apps in a window: Apps from the Windows Store will start like desktop applications in Windows 10. It is possible to change their size and you can move them around. Apps will also have a title bar where you can close, minimize or maximize them. · Snap function: It will be possible to arrange up to four apps on the screen simultaneously. · Task bar: A new button enables a quick overview and an easy switch between all opened apps and files. · Multiple Desktops: The new Windows supports specific Desktops – for work or your private environment – and it is easy to switch between them. This gives you a better overview about the use of multiple apps. · Integrated identity protection: Enables a simplified login for the device, for apps or on websites. A two-fold check based on the principle of a SmartCard has been already integrated into the platform. · Protection against data loss (DLP): Windows 10 offers enhanced protection within apps and files, independent of the device you use. · Action Center: All notifications and important settings are combined on one panel that is easy to access. · DirectX 12: The new version of the GPU-interface is supposed to be 50%-70% more efficient compared to the predecessor, which means it runs much faster but with reduced load for the CPU. 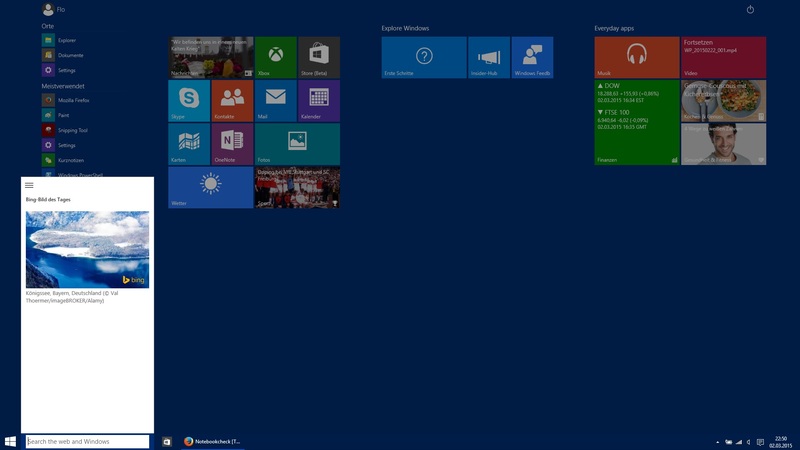 The design is very similar to the Windows 8 Desktop, which in turn is very similar to the Aero interface of Windows 7. This means little has changed, but on the other hand, you get modernized folder symbols in the Explorer, new task bar symbols and there is a new design for the control elements in windows. Rather minor visual corrections instead of a completely new design. The Start button is back, which will be good news for all Windows 7 users. However, fans of the Metro design from Windows 8 – the large colored tiles for apps – do not have to give up: These tiles are now integrated at the side of the start menu, but they can also be maximized to fullscreen, even though the task bar is always visible. This also means that you have the unpopular dichotomy, which made Windows 8 very inaccessible for many users, with the result that many PC or laptop users of Windows 8.1 did not even use the fullscreen start menu at all. The search in the task bar, including the integrated voice assistant, Cortana is a great feature that is always available. 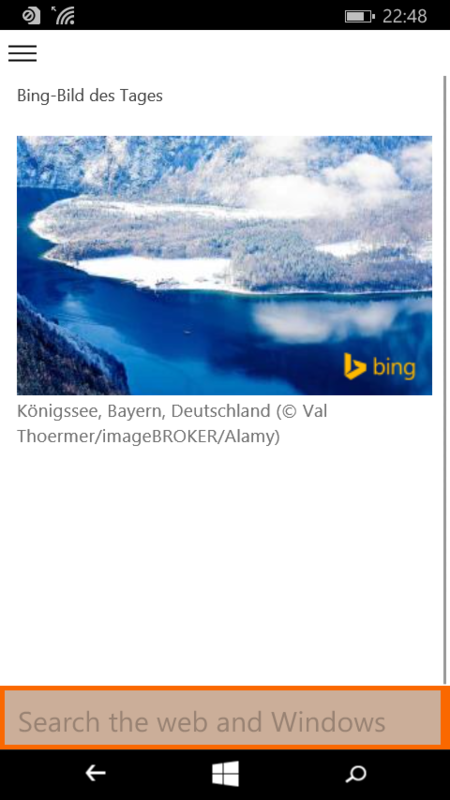 However, our preview version did not support Cortana for the German language, so we did not get any help. Even so, the search works well and shows web contents as well as apps, but files on the computer are not always found. This means there is a dichotomy: You still get the search field at the right top of the Explorer that searches files in the current folder or the PC. This search, which is already familiar from Windows 7 and 8, works well for files, but there can be confusions. A better solution would be a unified search bar for all contents on the PC and the web. 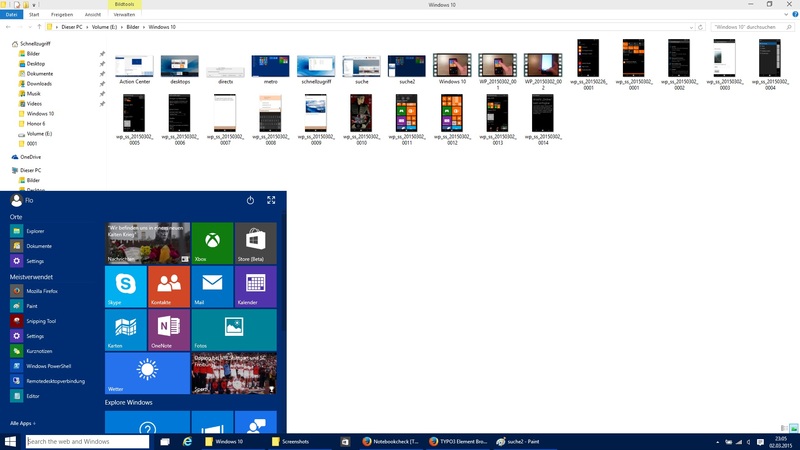 Apps from the Windows Store do not necessarily run in the fullscreen mode, but in a window just like normal Windows applications so you can adjust their size or minimize them. 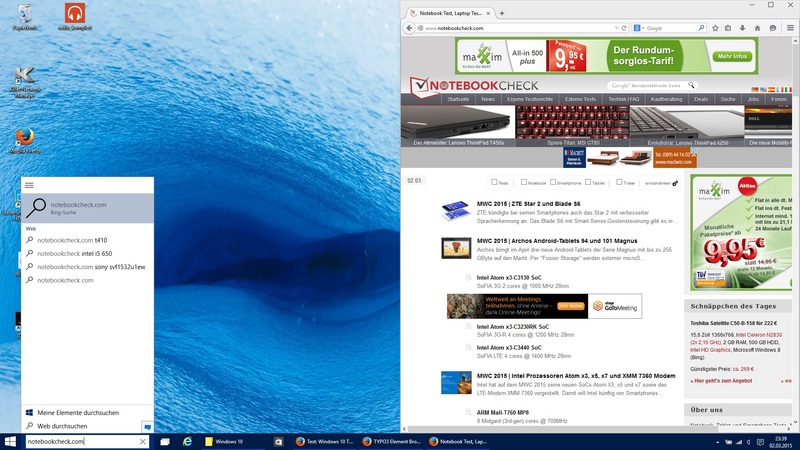 It is also possible to arrange up to four windows on the Desktop with Windows Snap, so they occupy either half or a quarter of the screen. We are already familiar with this feature from Mac OS X, but it is now possible to use multiple Desktops with Windows as well. For instance, it is possible to watch a fullscreen video on one Desktop and check your mails with a quick switch to the other Desktop without having to minimize the video player. You can also set up different Desktops for your private and your business work. 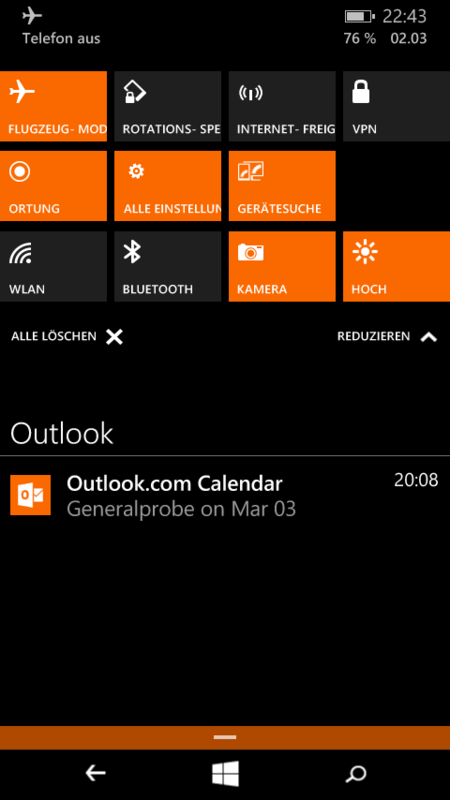 The Action Center shows all notifications from the system and apps, which is a familiar feature from Android or Windows Phone. You can also access some quick settings. We cannot say how useful or annoying the Action Center will be for desktop users since it will depend on the number of apps that really use it. We felt that the notifications from Windows 8, which flew into the screen from the side, were quite annoying because they disappeared quickly, often before we could react. If they could be collected in a central hub for notifications and be user-activated from the side, then it might actually be a useful feature. We also think that the quick settings are generally a good thing, but they often only refer to the corresponding panel in the "Settings" Menu right now. Speaking of settings: They are still available in the classic menu in the Control Panel that we know from Windows 7 and the menu "Settings", which gives a better overview with fewer options. The thought is actually not that bad: New users should get fewer options to reduce the confusion, but more experienced users can still access more comprehensive settings. The problem is that you quickly lose the overview where you can find which option, because the Control Panel does not offer all the options that are available in the menu "Settings". It does not look very consistent either because of different designs. As a result, you get some kind of a compromise that was very noticeable when you used Windows 8, and the Technical Preview for Windows 10 cannot really change that. However, Microsoft still has some time to improve the final version, and the design and operation can still change significantly. Furthermore, it is likely that would not be any new major versions, but rather continuous function updates that implement new features or change the design, similar to the mobile operating system Windows Phone. This means you might not have to buy a completely new version of the operating system anymore, but the system will develop step by step. The Action Center replaces the charms bar at the right side and offers an overview with notifications as well as quick settings. It is now easier to manage different desktops. The Metro design is still available and it looks like Windows 8 in fullscreen mode if it wasn't for the bar at the left side. You can only see the Metro tiles in the Start menu when you are on the Desktop. The Explorer was redesigned and expanded by quick accesses for frequently used folders. The search supports the voice assistant Cortana and searches the web as well as the laptop simultaneously. Even though the latest graphics interface DirectX 12 is already installed in the Technical Preview, the current Windows 10 version is slightly slower than Windows 8.1. This is particularly evident in the current 3DMark, where the Technical Preview managed much lower scores compared to Windows 8.1 on the same laptop with the Intel Core i7-4720HQ and the Intel HD Graphics 4600. However, the differences are smaller in the processor benchmark Cinebench R15 and Microsoft still has time until autumn to improve the performance. We were not able to check the performance of the announced "Spartan" browser since the Technical Preview still uses the Internet Explorer 11. DirectX12 is already installed, but the version is not yet optimized, so we cannot see any performance advantages yet. We did not notice the performance difference in everyday use, the Technical Preview boots very quickly from solid-state drives and runs as fast as Windows 8.1. We will have to wait and see if Microsoft can improve the performance by autumn. We like the search speed: You can already see results for objects on your PC as well as results from the web as you enter the name. It works quite well for installed applications and web contents, but the search is often useless since it does not find your files. There is also a dichotomy: You still get a search field at the right top of the Explorer, which searches the current folder or the PC. This search, which is already familiar from Windows 7 and 8, works well for files, but it can result in confusions. A better solution would be a unified search field for everything on the PC and the web. Tablets and convertibles with screens larger than 8 inches get the same Windows version that you get on a desktop PC, but there is a special tablet mode, which can be activated with one click in the Action Center. The changes are rather small and (for us) not consistent enough to improve the operation via touch inputs. The search field in the task bar is minimized to a symbol, which is supposed to be easier to use with fingers or touch pens. However, we are not sure why this is easier than hitting a search field that is roughly seven times as big. The elements in the task bar are not any bigger, so it can be quite tricky to hit elements with the finger. Generally, Apps run in the fullscreen mode, are closed via a gesture and can be easily assigned to one side of the screen, so they are shown on one half of the screen while another app can run on the other half. Probably the biggest change in the touch mode is that the start menu is displayed only in fullscreen, which is like the Metro UI from Windows 8.1. However, there are also some small and handy changes: On the left side is a list of the most frequently used apps, which can be expanded to list all apps. 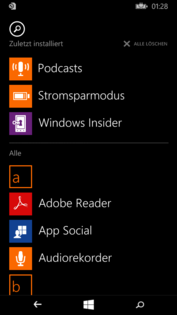 On the right top is a control element to shut down or restart the tablet and the task bar is now always visible, even in the Metro UI. This means the unpopular separation of the Desktop and the Metro UI still exists in the Technical Preview. We would have liked to see more courage from Microsoft: That you only see the Metro UI in the tablet mode, for instance, and that the Desktop mode is only available when you use a mouse and keyboard. It is obviously possible to adjust the system to a certain extent, but a strict separation, which would make the system more accessible and simpler, would be particularly nice for new users. Experienced user will customize the system anyway. We will have to wait and see how the system develops until its release in autumn. 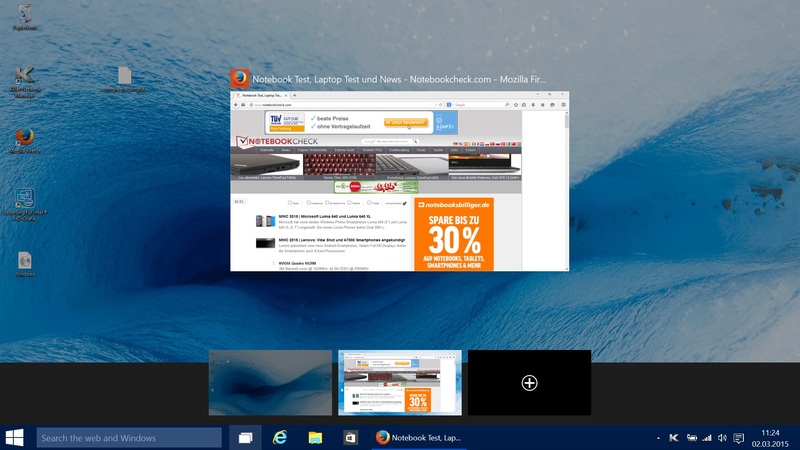 You can now always see the task bar with fullscreen apps. Overlays like videos and games can obviously still be displayed in a real fullscreen. 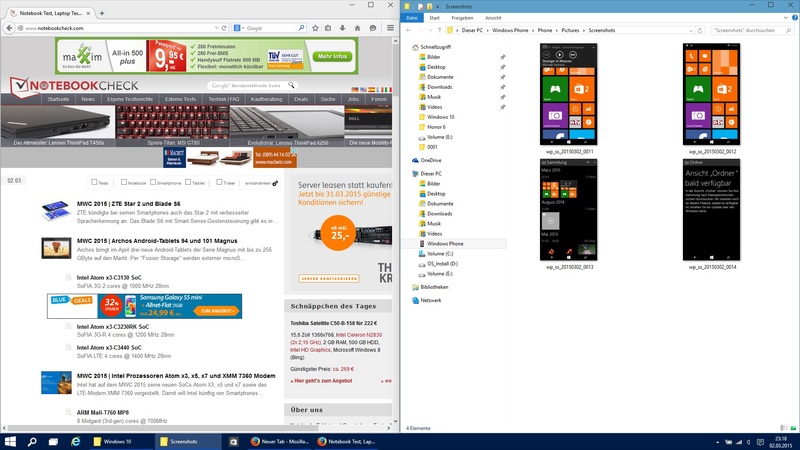 Windows can easily be fixed to certain positions on the screen for multi-tasking. The Metro user interface is the heart of the tablet mode and is only available in the fullscreen mode. However, buttons, for example, in the task bar, are not optimized for touch inputs. The difference between Windows Phone 8.1 and Windows Phone 10 is certainly the smallest; at least this is the impression of the Technical Preview. One reason is certainly that Microsoft has already been implementing new features for Windows Phone on a regular basis and does not release completely new versions. Almost all smartphones that were shipped with Windows Phone 8 will also get an update to Windows Phone 10. Even small tablets of up to 8 inches will run Windows Phone 10; larger devices get the desktop version. 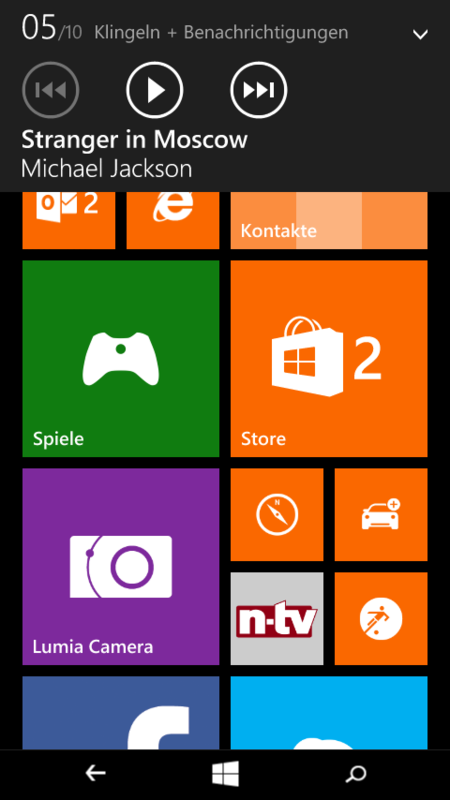 Our preview version of Windows Phone 10 is 9941.12498 and our test device is a Lumia 630. 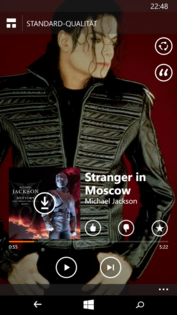 · New Music app with integrated OneDrive. You can access your music library from all devices. · Spartan as new browser. You can make notes on websites with fingers. This already shows that you should not expect a complete redesign or groundbreaking new features, but improved details that actually make sense. 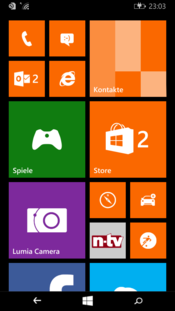 The transition from Windows Phone 8.1 to Windows Phone 10 should not be very hard at this stage. 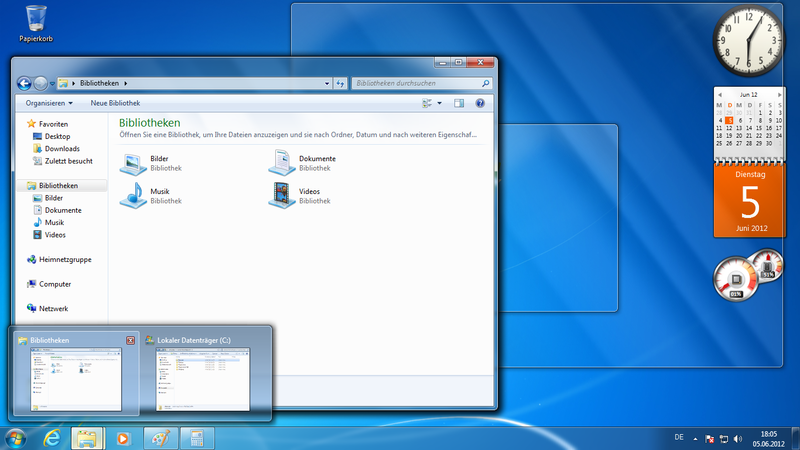 There are, however, some design elements from the desktop Windows like the title bars. 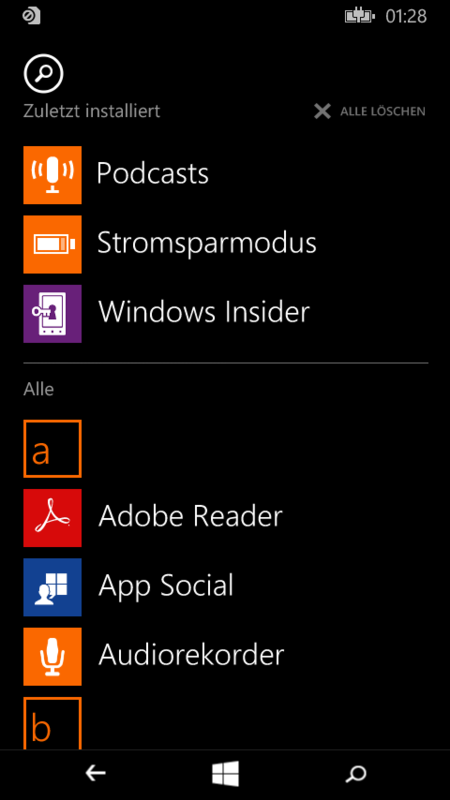 Recently installed apps are now listed at the top of the list for a while. Charms contain the menus, which are currently tricky to see and to use on smaller screens. The search field now looks very similar to the desktop search. 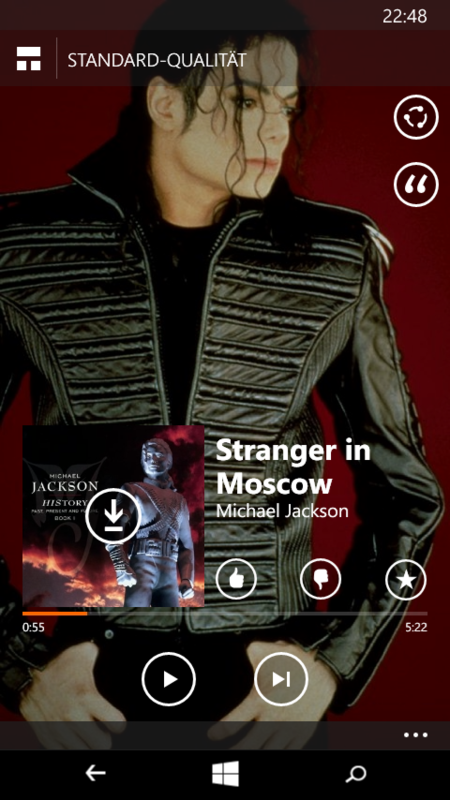 The App "Mix Radio" still provides free music streams on Microsoft devices. The design is currently not very consistent with elements from the desktop Windows and elements from the typical Windows Phone. 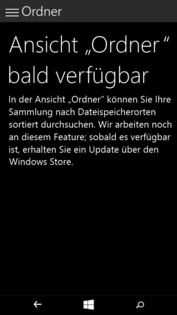 But Microsoft still has time for optimizations. 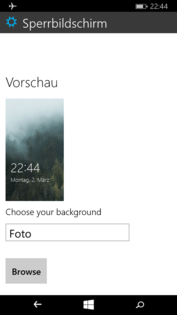 Nothing has really changed in terms of design: Since Windows Phone 8.1, the colored tiles have been on the home screen, many of which can also be translucent and show the wallpaper in the background. Home screen and app list look as before, with the small difference that recently installed apps remain at the top of the list. We particulary liked the fact that the "Settings" menu is now divided into categories, making it much easier to use. The fonts are smaller now so you can see more items on the list. You can actually notice a small design change here and in the reworked apps: Now you can always see a title bar similar to the desktop Windows that shows which menu you are in and also offers other options, for example, in the Pictures app. These options are visible via "Charms" at the side, which is reminiscent of the desktop version. However, the control elements can be rather tricky to hit on smaller displays. 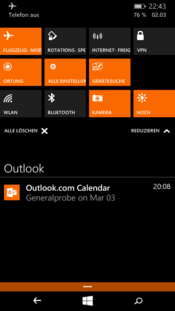 They even appeared quite small on the 4.5-inch screen of the Lumia 630. Changing the font size, which can be adjusted system-wide, did not improve the situation, but at least text menus were easier to read. 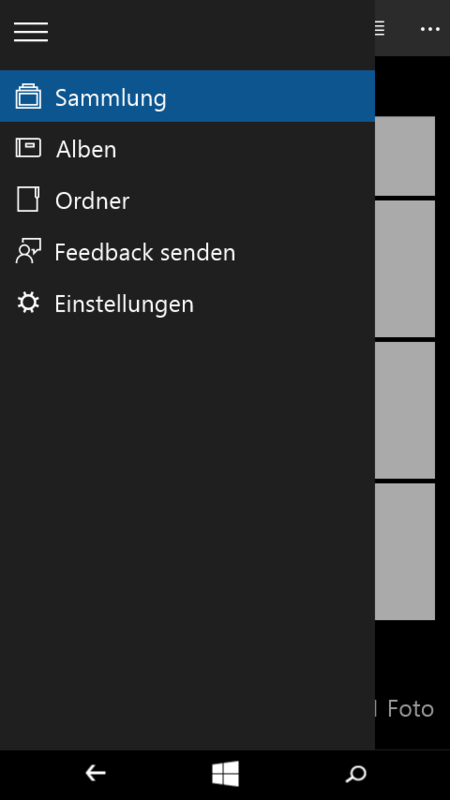 As a result, some texts in the menus are too large for the buttons, which means Microsoft still has to optimize this. There are no fundamental changes for the operation. 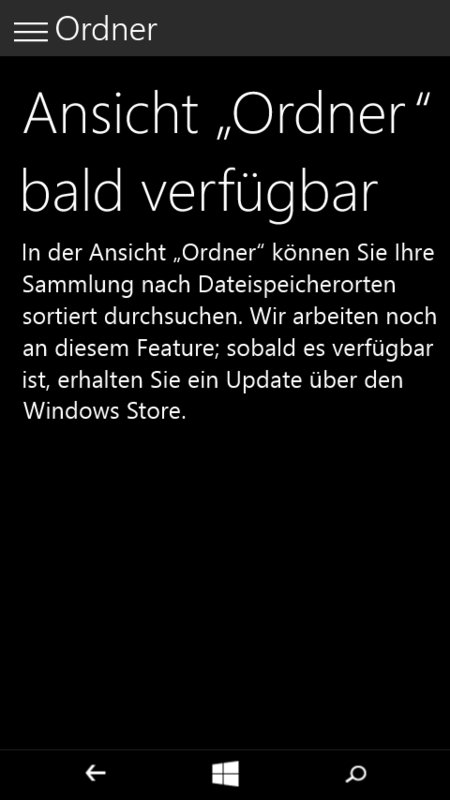 If you have ever used any Windows Phone since version 7, you will not have any problems with the latest version. The system is also very accessible for new users. Apart from the font, the keyboard has not changed much. However, there is still one great new function: A small navigation element between the keys for "X", "Y", "Comma" and the language selection, which is reminiscent of TrackPoints from business keyboards. Otherwise, there was no need for change: The keyboard is reliable and the layout is simple. The preview version is slightly jerky, but obviously there is still quite a lot of time for optimizations and this will probably be the last step. The WLAN signal has to be improved too, since the connection was sometimes lost for short periods. None of the previous release versions suffered from such problems, so this could be a problem of the preview version. The following chart shows some test results of benchmarks that are available on the market place, and we can also compare the browser benchmarks with a Lumia 630 that runs Windows 8.1. Many of the benchmarks and the browser itself crashed repeatedly in the preview version, so we cannot give you a full evaluation of the performance. In our WLAN test, the Nokia Lumia 630 with the Technical Preview does not last as long as the device with Windows Phone 8.1. This is probably due to the beta status of the software, so the results do not really tell anything about the final version. Currently, there are no energy settings in the menu, but this should change in the final version because the category is already mentioned in the settings. The very fact that this time Microsoft wants to listen to the feedback of its customers is probably one of the best new features of Windows 10. Another good thing is that it already works quite well and finally the operation is somewhat consistent on all devices, which is certainly an accomplishment by Microsoft. 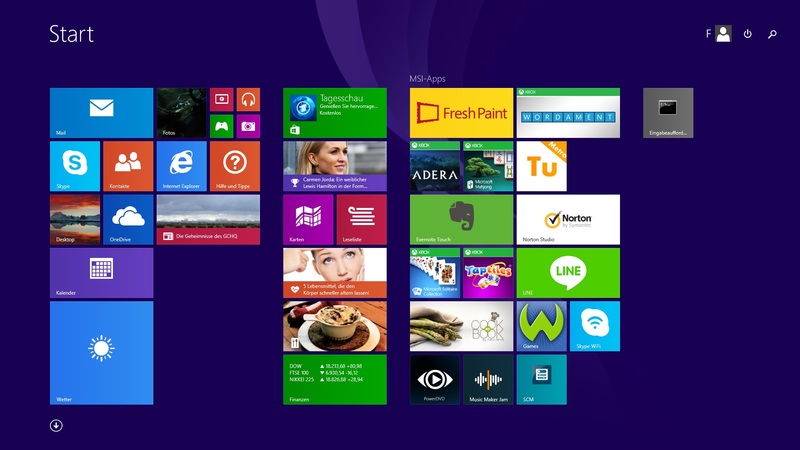 Microsoft combines many advantages of Windows 8 and Windows 7 for the desktop version. 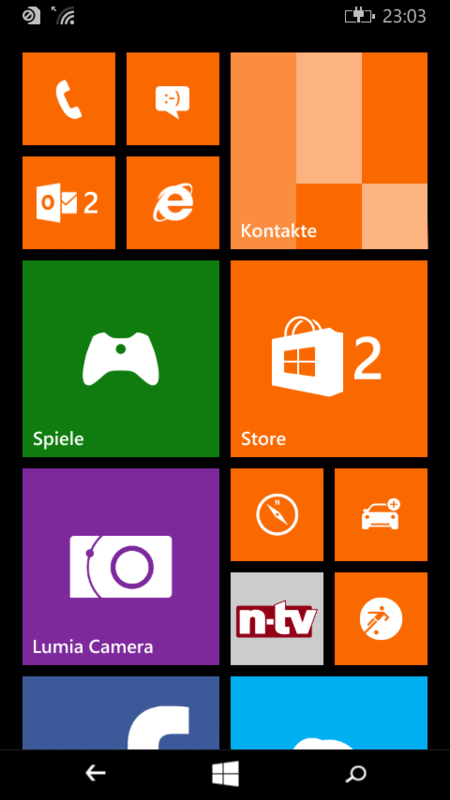 The returning Start button in particular is a nice change and the idea to integrate the Metro tiles is quite handy. Windows 10 also boots just as quickly as Windows 8.1. Microsoft should improve some points, such as the separated Control Panel. If you own one of a larger tablets or convertibles, you will welcome the automatically changing user interface. One UI is optimized for the keyboard and mouse and the other one for the touchscreen. However, we miss the last bit of consistency for the touch operation: The touch UI is still rather crowded for newcomers, especially when you consider the simple home screens from Android and iOS. Some control elements are also just too small. Why are they not getting larger in the tablet mode? It would be easier to use them. The changes are rather limited for Windows Phone users since they have already had a consistent and modern mobile operating system. The details in particular, such as the simpler "Settings" menu or the improved Pictures app are a joy to use, just like the system-wide changes including unified apps for all devices with Windows, and further improved business features. Even the Preview Version of Windows 10 is generally a big step towards a better user experience and a more consistent Windows world. If you owned a Windows PC and a Windows Phone, you could only be jealous about the synergies that Apple created between Mac and iOS devices. Now Microsoft goes even a step further than the rival with the Apple logo, thanks to the same software foundation and unified apps for all devices. The expectations are quite high for the launch of Windows 10 this autumn, but we can only hope that Microsoft will offer a reasonable pricing model for all customers. Should you install the preview? We cannot recommend the smartphone version right now because it is just not stable enough and there are no major changes yet. You can already work quite well with the desktop version, but Microsoft spies on you with your consent, so we would only recommend an installation for testing purposes and it would be a good idea to create a new Microsoft account for it. Good approaches for the desktop and tablet Windows 10, but Microsoft should be more consequent in respect of the separation between touch and classic inputs. 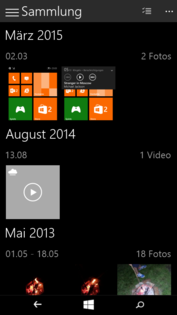 Windows Phone 10 is not completely consistent and there are mainly small improvements.